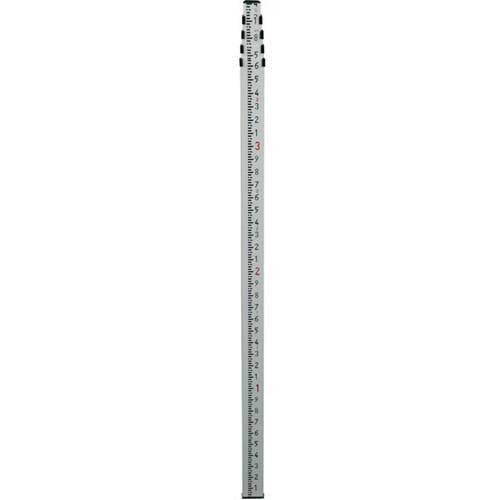 This five-piece telescopic aluminum leveling rod is made of a light and durable alloy. The sections are anodized, silk-screened with moisture-resistant ink (tenths graduations) and extend to 16.4 ft.
Each rod section uses sturdy polycarbonate buttons that lock each section when extended. Height gauge is on the back side. Weighs 3.5 lb (1.6 kg) 5-pc / 16.4 ft / Tenths Grads.